Quick and easy, this Tomato Vinaigrette makes a delicious topping for fish or chicken. No cooking required! Quick and simple recipes that require no cooking, are absolutely a great thing to have on hand during the hot Summer months. One of my favorite meals to make is sautéed cod served over some basmati rice and topped with this Tomato Vinaigrette. 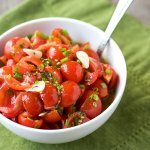 Summer is when tomatoes are at their best, but little cherry tomatoes are available year round, so it’s something you could make any time. If all you can find are grape tomatoes, then you could use those instead. You might just need to cut those in half instead of quartering them since they are smaller. Although, this Tomato Vinaigrette is great over fish and chicken, there are other tasty ways to use it. 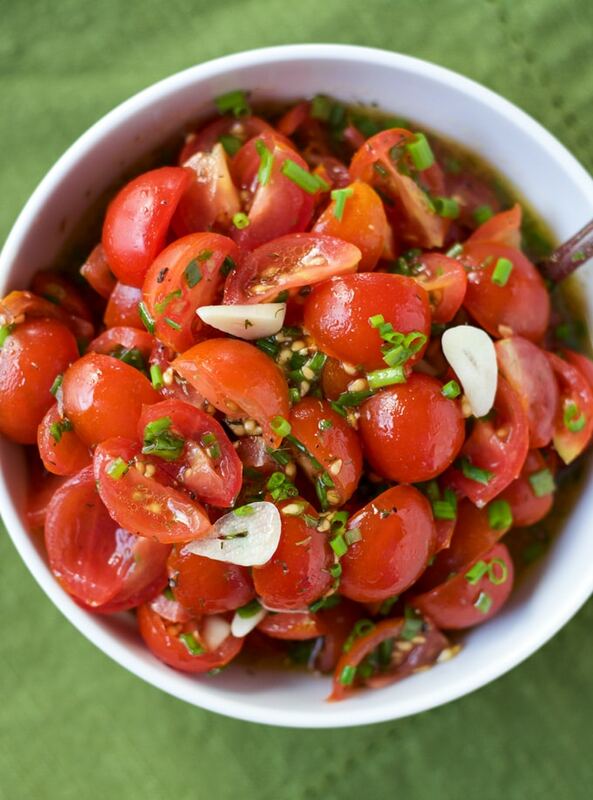 You could serve this Tomato Vinaigrette over a salad instead of a traditional dressing. Or, use it as a topping for an omelet at breakfast or brunch. I used thinly sliced garlic to give a milder garlic flavor. You can mince it if you want a more powerful garlic flavor. A simple and delicious topping for fish or chicken. 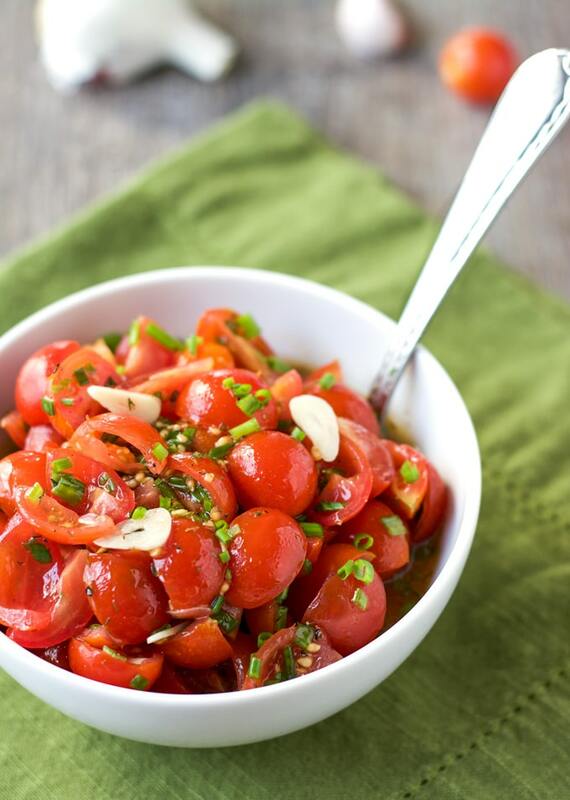 In a medium bowl, add the tomatoes and gently toss with salt and pepper. Let stand until tomatoes start to give off their juices, about 10 minutes. Meanwhile, in a small bowl, whisk together the olive oil, vinegar, chives and garlic. Pour over the tomatoes and gently toss together. If making this a day ahead, let come back to room temperature after removing from the fridge before serving.